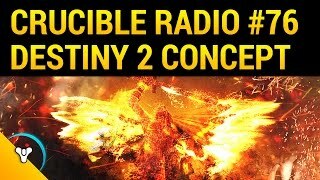 It’s Crucible Radio’s 75th episode! We wanted to do something special for this moderately special number. In order to get around holiday schedules, Bones, Birds, and Swain each recorded their own section as three mini episodes. First up is Birds, who dives deep into the history of Bungie and Destiny to discuss the truth about game development as a business and what it takes to make a game – and keep it alive. 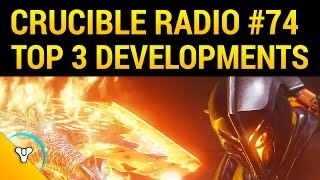 If you’ve ever been frustrated with this game, or wanted something out of that you haven’t gotten yet, it’s a must listen. Keep an eye out for the next two minisodes dropping this week!